As you start researching the Cloud you can be overwhelmed by jargon. Nik Devidas from Datasafe cuts through that jargon and explains in clear English the benefits of cloud computing for SMEs. 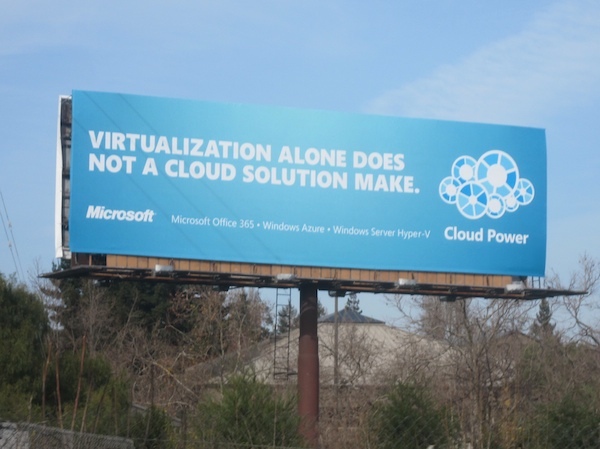 There’s been some quite misguided and ambiguous Cloud computing advertising doing the rounds lately, and even major players such as Microsoft are in on it with their ‘Virtualization alone does not a cloud solution make’ campaign. Thankfully, the benefits of the Cloud are a lot clearer – flexibility across devices, limitless storage, a back-up facility and no more software discs, servers or even in-house IT. It can even make your accountant happy with its tax advantages. It’s therefore little wonder that entrepreneurs and SMEs are recognising its potential; they can have the same, if not greater, IT capabilities, as their established competitors at a fraction of the cost. A lot of small businesses are investing heavily in expensive traditional server technology or in their own time, juggling and educating their teams on a range of ever changing ‘public’ Cloud computing programs. While ‘public’ Cloud programs might be cheaper than conventional server equipment, the risk factor should be weighed-up. It’s not news that data on ‘public’ services, such as Dropbox, Highrise, Batchbook, 37signals, and LastPass, is often compromised. The Sony data breach, Google's "lost" mailboxes and Dropbox's "let everybody in"were some of the most widely publicised last year. It’s also worth bearing in mind that in addition to the risks ‘public’ services can pose to your business’s security and operations, the mix and match approach of using various free applications can also appear amateurish to prospective employees and clients. Today, a massive 35 per cent of Australian enterprises are subscribing to some type of IaaS (Infrastructure as a Service) or PaaS (Platform as a Service) Cloud service, with the majority of subscriptions, and data, heading to overseas providers. In theory any business considering Cloud computing should understand its responsibilities under legislation including the Electronic Transactions Act 2003, Spam Act 2003, Cybercrime Act 2001, Copyright Amendment (Digital Agenda) Act 2000, Privacy Amendment (Private Sector) Act 2000, Privacy Act 1988, Archives Act 1983, Freedom of Information Act 1982, and Telecommunications (Interception) Act 1979. The list goes on. However, it’s not all doom and gloom. Given that Australia’s 2.7 million SMEs make up over a third of the economy and employ almost five million Australians, forward-thinking IT solutions for start-ups are being developed. Services that marry the best features of Cloud computing with the added security and support of an exclusive ‘private’ infrastructure are now available. And the good news is that they can be cost-effective and offer tax benefits. There are no large capital expenses like those associated with traditional servers, and as your provider is classed as a service, their monthly bill is a profit and loss operating expense. There’s no need for an asset register too. So don’t forget to speak to your accountant about these additional advantages when you consider moving to the Cloud.